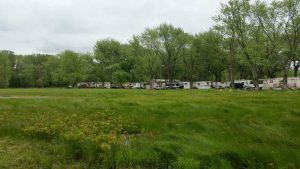 Welcome home to Woodland Village RV and mobile home park. 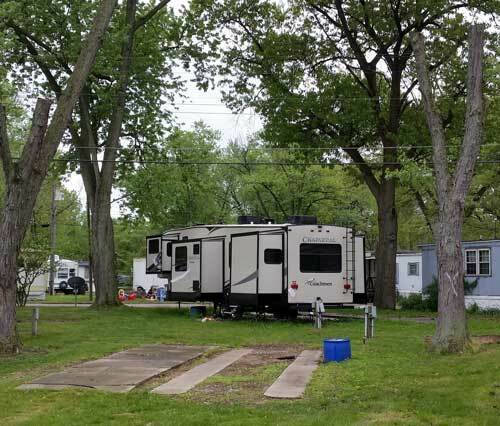 One of the closest open-year-round RV parks to Chicago, Illinois. Conveniently located on historic Route 20 in Portage, Indiana, Woodland Village is located 41 miles outside Chicago, Illinois. Drive time is about an hour depending on traffic. Or take the train! We are just 5 miles from the Portage/Ogden Dunes train station. Easy access to major highways and close to major shopping including Walmart. Established in 1957, our park is a mix of full hook-up, big-rig friendly RV sites and mobile homes. All RV sites are back-in on either leveled concrete slabs or concrete runners. See our Amenities page for more. Open all year, Woodland Village has upgraded sewer lines and electric (20/30/50 amps) on all sites. Due to our great location, you’ll get about 50 over-the-air antenna channels. Cable TV is available through Comcast for long-term stays. Customer service is not just a catch-phrase at Woodland Village. We pride ourselves on providing our customers with the best support possible – day or night. We look forward to seeing you soon! 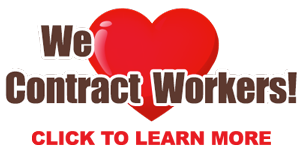 We cater to workers of U.S. Steel, ArcelorMittall, BP, Enbridge Pipeline, Dredgers for the Ports in Lake Michigan and Ford Plants in our area. All sites are full hook-up with concrete pads or runners.